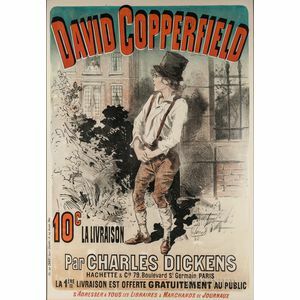 Dickens, Charles (1812-1870) David Copperfield, Poster Illustrated by Jules Chéret (1836-1923). Paris: Chaix, [c. 1884]. 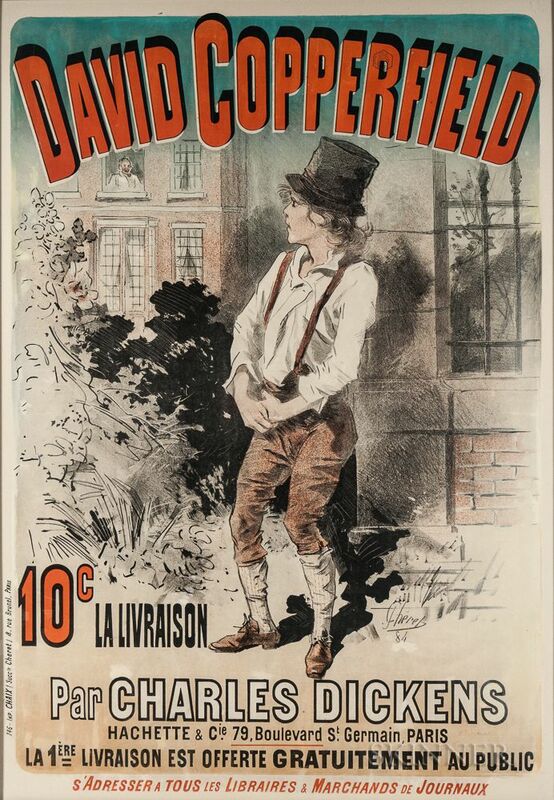 Very large lithographic poster printed in red, black, and blue, advertising the sale of Dickens's novel at "Tous les Libraires et Marchandes de Journaux," with tax stamp, framed, 48 x 33 1/2 in.